It’s almost April, so I’ve been reading up on south Texas birds. 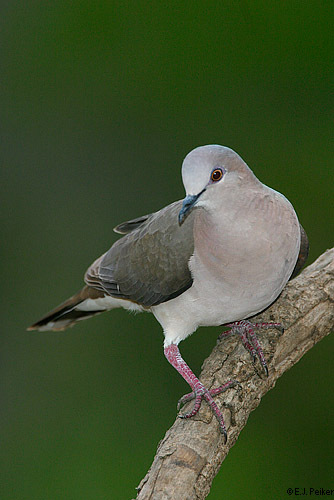 Besides the Great Kiskadee I mentioned previously, the project announcement page at the CONE Welder site mentions White-tipped Dove and Green Jay. Are you looking forward to seeing some of these? Due to delays in obtaining wireless hardware, we anticipate a beta release in early April and the full release of CONE Welder in late April. Stay tuned for updates! So, a little bit longer to wait. But it’s still exciting to see signs of the work that is going on with the system. In the meantime, brush up on those south Texas birds! I haven’t heard anything about the Texas implementation of the CONE system, but we’re now in the March 2008 window that was previously mentioned as the time for its debut, so I’m hoping we might hear something soon. 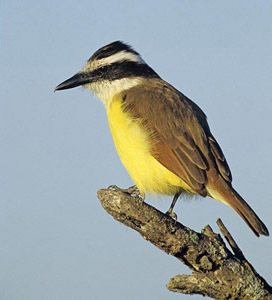 In the meantime, here’s an image of a Great Kiskadee from the Welder Wildlife Refuge’s web site. How cool would it be to see one of those with the birdcam? 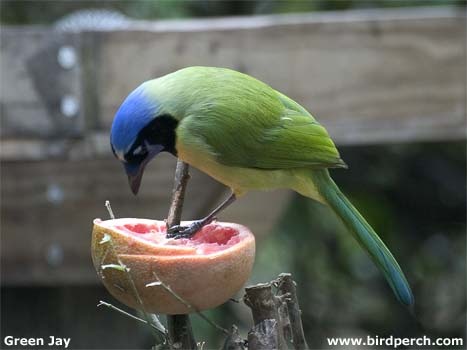 You are currently browsing the The Networked Bird Observatory Blog blog archives for March, 2008.